We’ve talked before about essential EDC(Every Day Carry) items and Usually Dave has a review of one of his favorite EDC items, the Gerber Freeman Guide Folder. 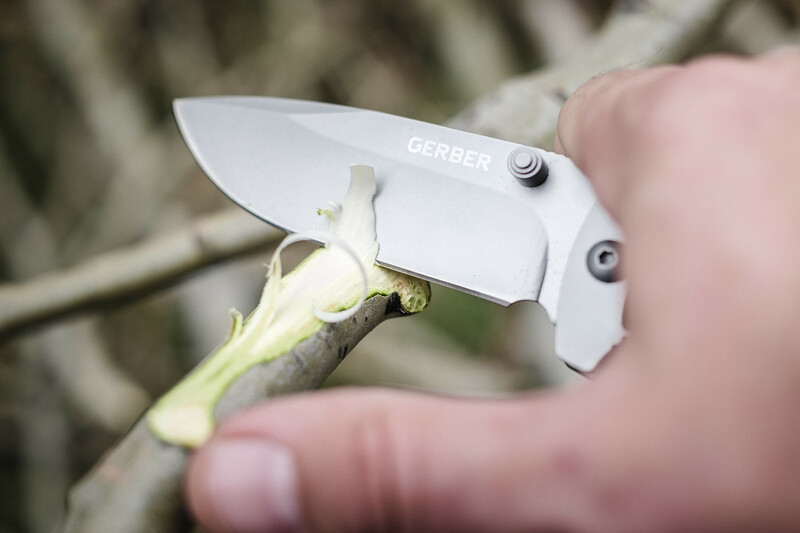 Will this offering from Gerber provide a solid solution to your EDC knife needs? Let’s dive in and see! Whether you just need something handy for opening packages or you are needing to make the perfect hot dog roasting stick while you’re out camping with the family, a good knife quickly becomes essential. While Gerber gear sometimes gets a bad reputation for being just a “popular” or “trendy” brand, they make some very solid gear. The Gerber Freeman Guide Folder is no different. For the full review, head over to Usually Dave’s website. If you want the short version, read on because this is just a high level over-view of his thoughts. Even though Gerber is a large company and put out high amounts of gear constantly, they have terrific quality standards. This knife is what would be considered a mid size folding knife, so it can handle just about any task you throw at it. Not only is it very functional, but it’s durable build quality will give you peace of mind knowing that when you need it most it won’t fail you. With a drop point style and fine edge, it maintains a razor sharp edge for all of your cutting needs. When it begins to dull it takes pretty minimal effort on a sharpener to touch it up and get it back to slice and dice condition. The best part, it gives you the performance, build quality and durability for under $30 so it’s a tremendous value! Kind of a no brainer to add to your kit. While none of these are necessarily deal breakers, the size is a little bigger than most EDC “pocket” knives. This knife does come with a sheath and is meant to be either worn on your belt or strapped inside your bag. It is a bit bulky to carry loose in your pocket, but not so big that you can’t slip it in your pocket relatively comfortably. One handed operation isn’t as smooth due to the size as well. While they give you a nice knob on the blade to help you flip the knife open easily, closing it one handed feels a little unsteady at times. For safety reasons you’ll want to use two hands. After all, no one wants to cut themselves, especially just during the act of closing their knife. 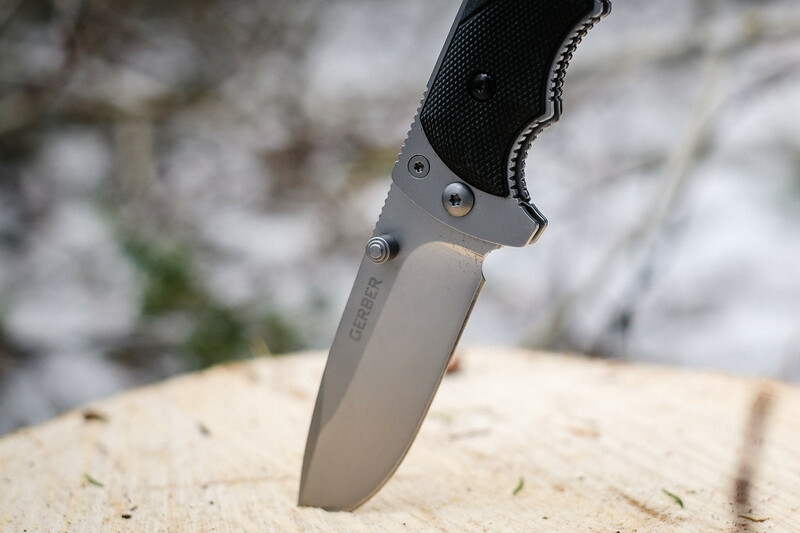 As mentioned above, you should go check out the review on Usually Dave’s website via the link above for more detailed thoughts about the Gerber Freeman Guide Folder. Overall it’s a very solid knife. Offering fantastic handling, balance, and performance along with long term durability at a budget friendly price. While it does have some minor drawbacks, it’s in a budget range that makes it extremely comfortable to pick up and put through it’s paces on your own. 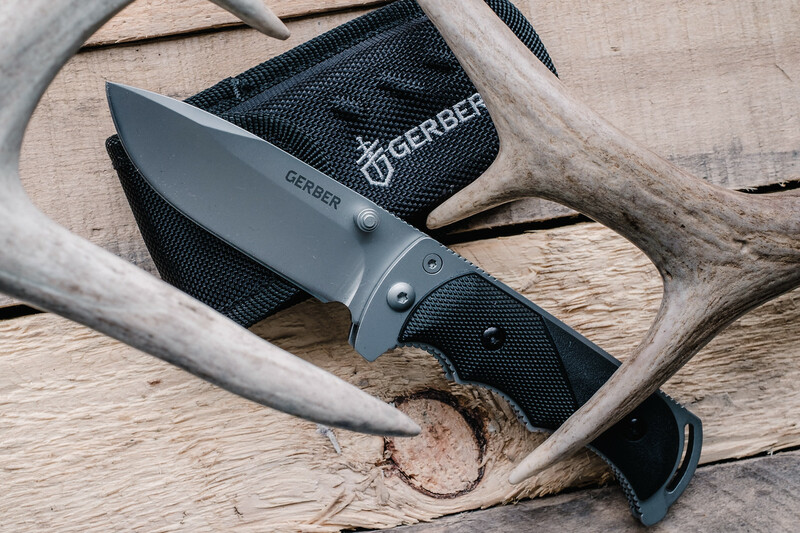 Geared towards outdoors loving men and women that love to hunt, camp, and fish, Gerber has put together a great knife at fantastic price. It’ll tackle just about anything you throw at it while staying lightweight and unobtrusive when not needed. If you check out Usually Dave’s full review and decide you’d like to grab one for yourself, feel free to either help him out via his Amazon link on his site or help out digitalSoup by doing the same on the link right here!